Ashley Marlowe is Director of Real Estate for the Equinox and SoulCycle brands. Joining the team in 2013, Ashley has been responsible for Equinox & SoulCycle’s continued expansion in Southern and Northern California and into new markets including San Diego, Seattle, and Vancouver. As a result of her work, SoulCycle’s West Coast footprint increased from six west coast locations to 20 studios, with 10 more locations in the pipeline. Additionally, Ashley facilitated partnerships between Equinox & SoulCycle with other lifestyle, health brands including Pressed Juicery, Earthbar, and Beaming. Prior to working with Equinox and SoulCycle, Ashley worked on the landlord side of real estate for seven years with iStar Financial, a publicly traded mortgage REIT with a large portfolio of owned assets in California, Arizona, and Nevada, as well as Combined Properties, a private developer/owner based in Beverly Hills with a portfolio of properties in Southern California. 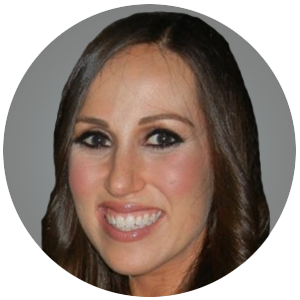 Ashley is an active licensed Real Estate Broker in California and a graduate of the University of Wisconsin-Madison School of Business with a double major in Real Estate and Urban Planning and Psychology. She served on the ICSC Next Generation board for three years and has been an active member of ICSC for 10+ years. She resides in Los Angeles with her husband and twin boys, Jackson & Leonardo.